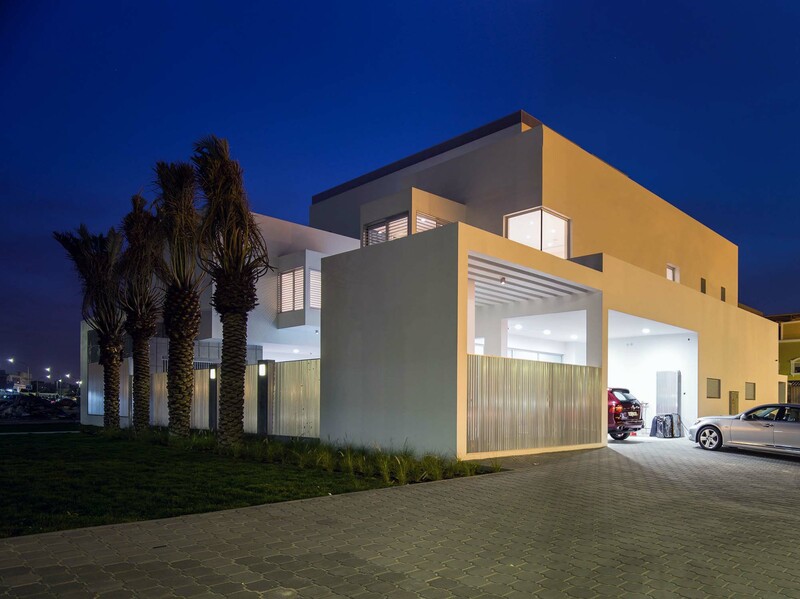 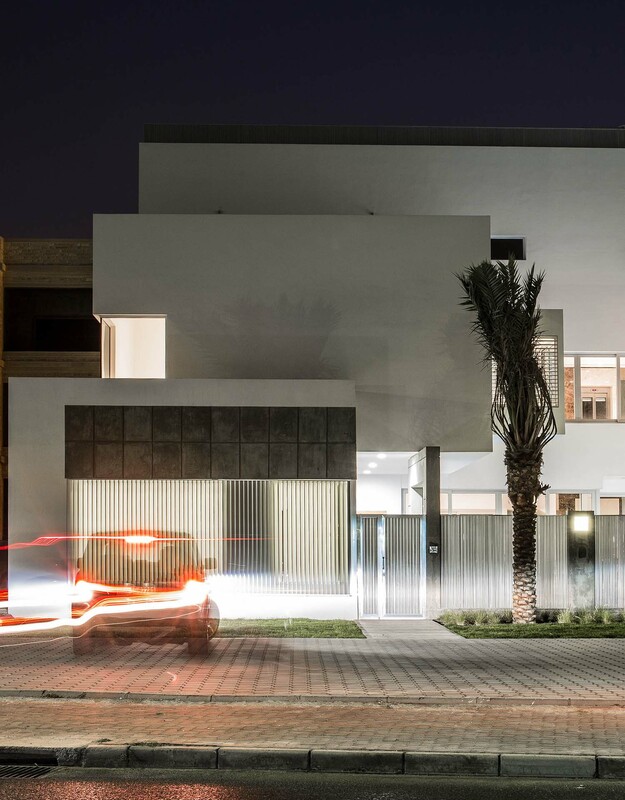 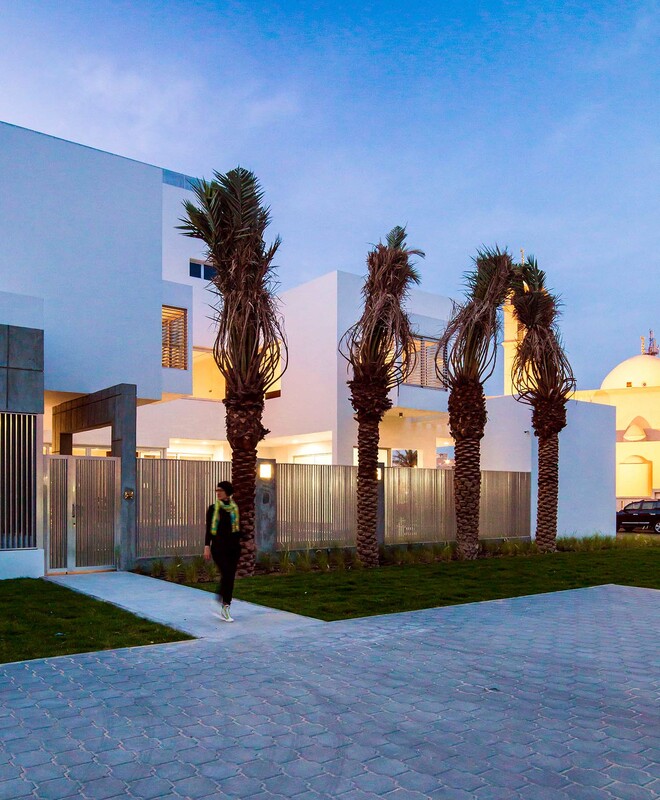 Vertical aluminium slats screen the exterior and windows of this house in Al Salaam, Kuwait City, by Studio Toggle, providing shade and privacy for the residents. 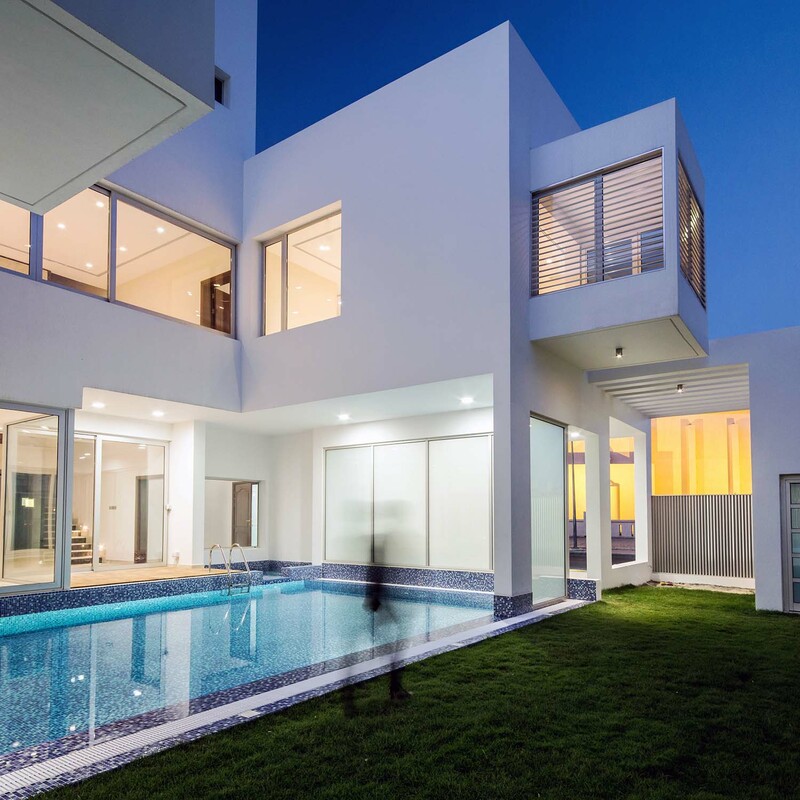 The swimming pool takes the centre stage and the house wraps around and opens up into it. 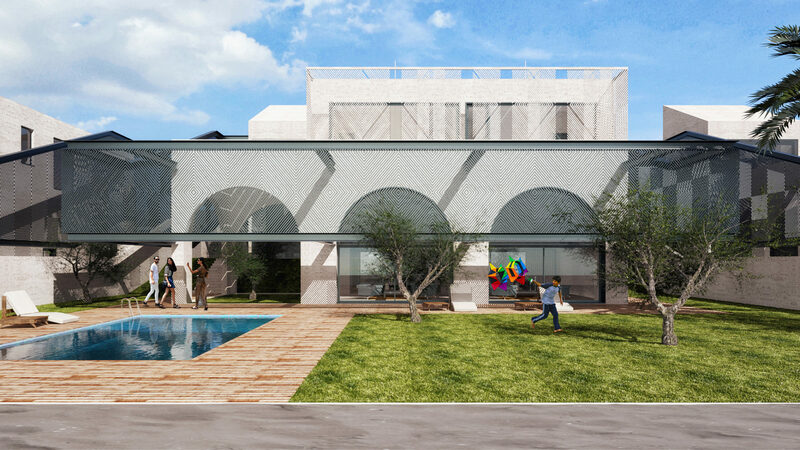 The large glazed walls of the ground floor create a seamless effect between the ground floor spaces and the pool. 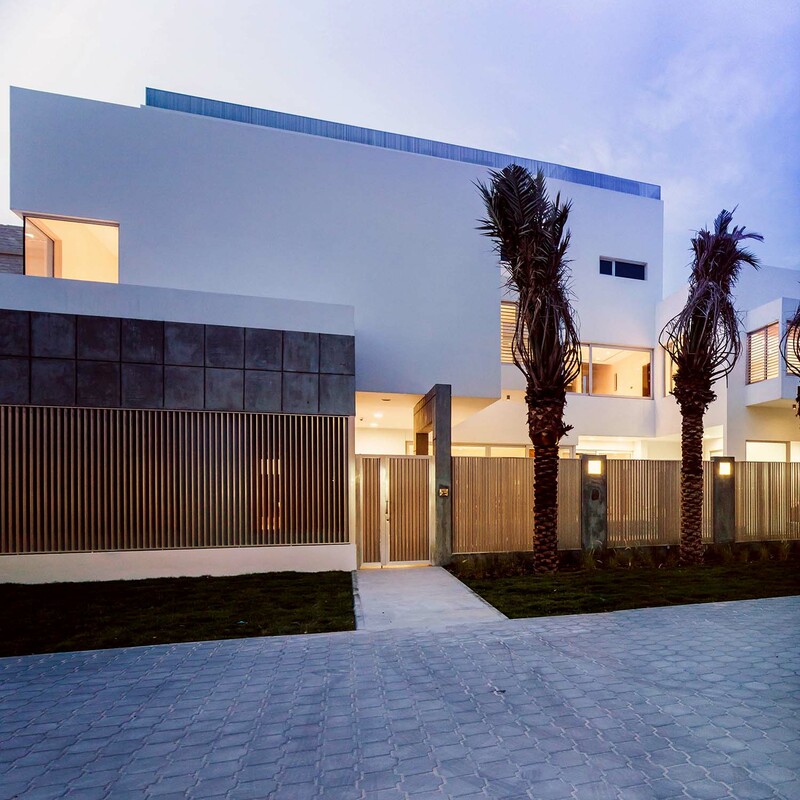 The core idea was to use the pool to cool the interiors, as it was done in old Kuwaiti houses, and the aluminium screens around the house provide shade, as well as one-way views towards the outside. 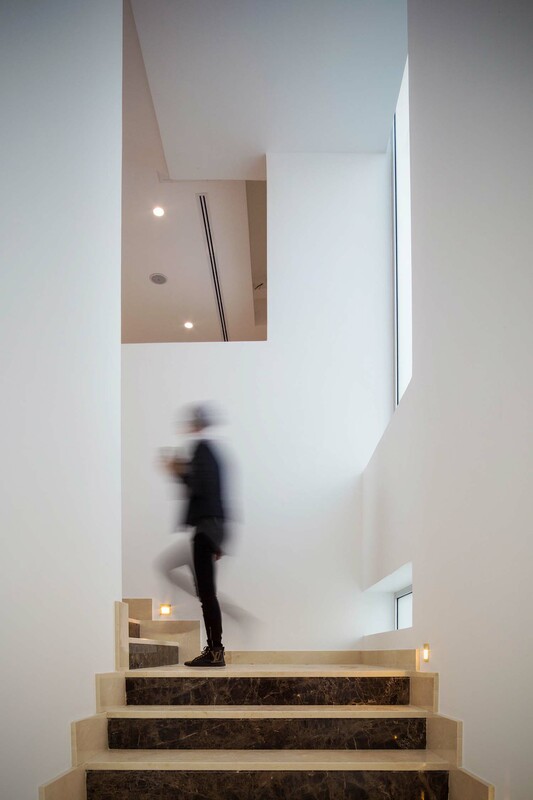 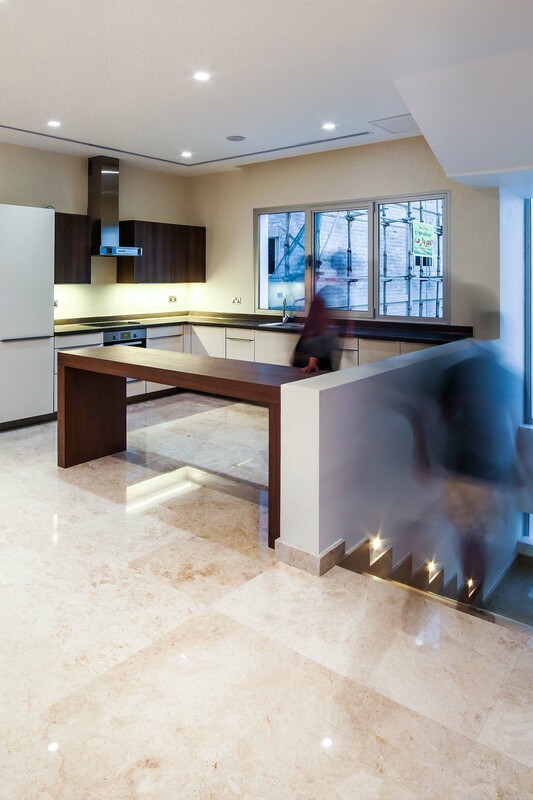 The upper floor is slightly cantilevered to form overhangs above the glazed walls, minimizing the heat gain. 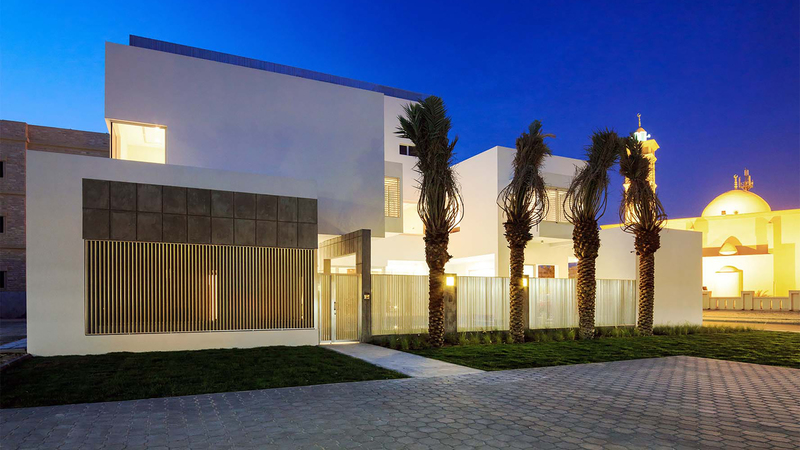 This arrangement is reminiscent of the traditional courtyard houses which utilized a water feature to cool the passive air through evaporation. 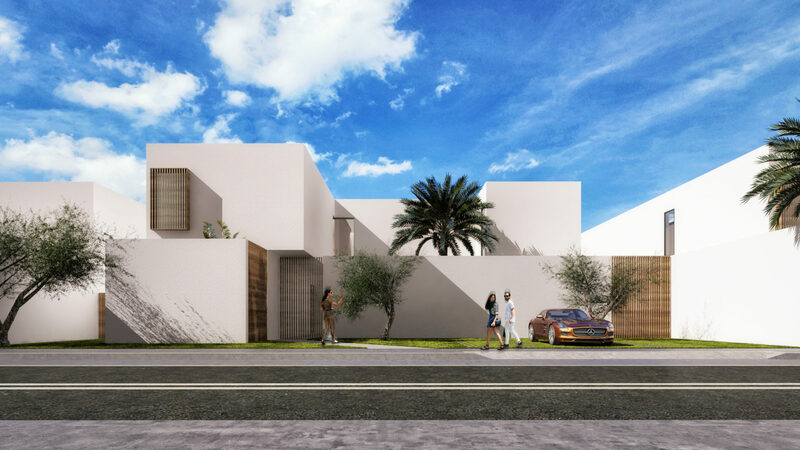 The simple white massing of the house is strategically ordered for optimum shading as well as the reflection of the harsh desert sun. 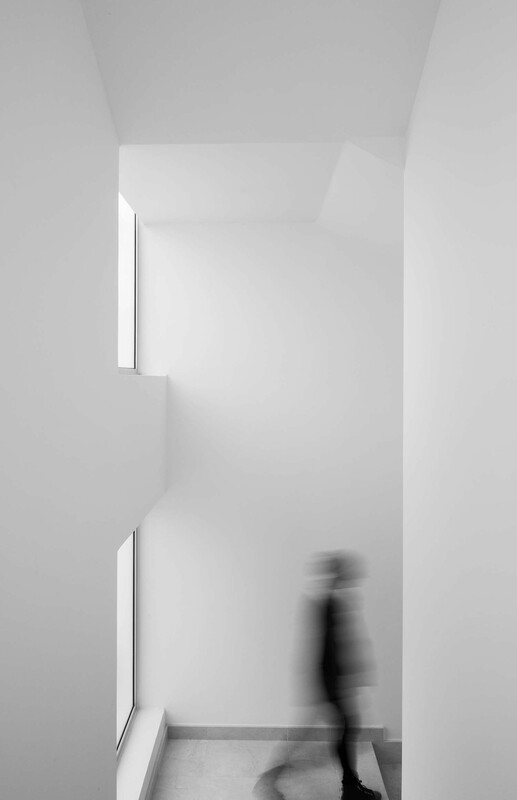 The two cantilevered square windows offer wrap around views as well acting as a cosy alcove floating above the pool.